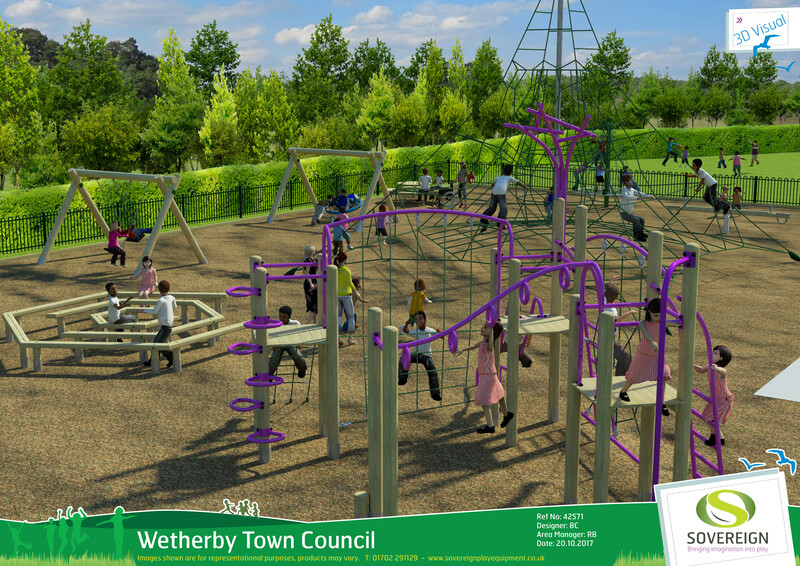 The Town Council is seeking to develop a strategy for the phased upgrading of its three playgrounds to provide modern, fit-for-purpose facilities for the current and next generation of Wetherby children. King George’s Field (Scaur Bank). 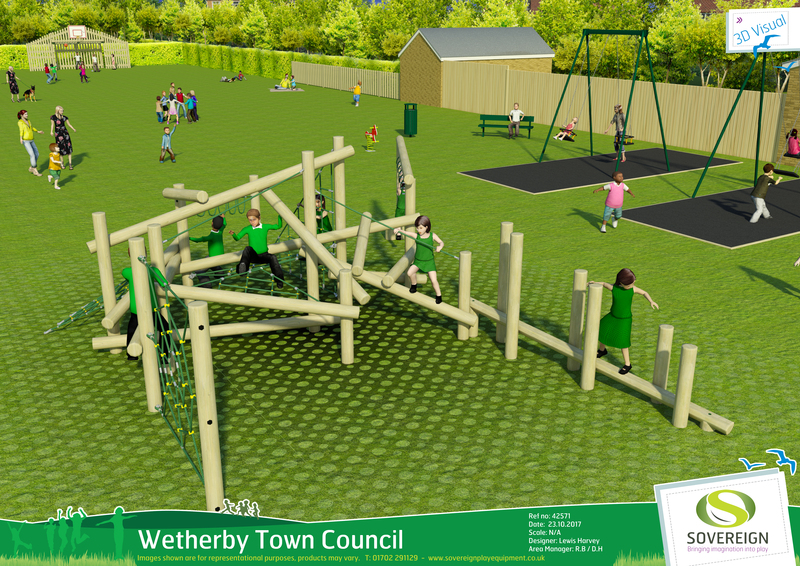 We are delighted to have secured funding from the Wetherby District Lions Club who are going to pay for one of the key features in the new playground – an exciting climbing frame chosen by the young people of Wetherby. Two existing springers will be kept at this site, but all other equipment will be replaced. We are still tweaking this design to incorporate more inclusive items of equipment. 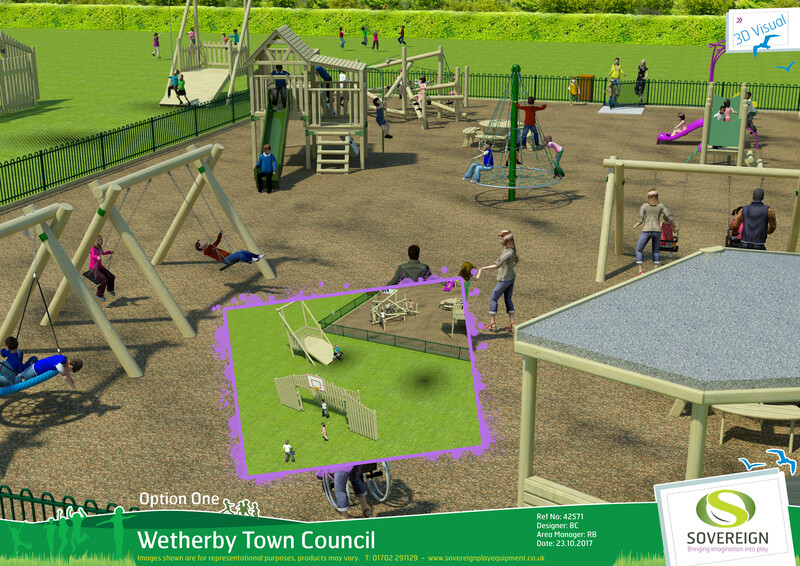 The roadside hedge will be taken out and an extended playground area will be secured with a metal, bow-topped fence. New bark safety surfacing will be used. A compound will be set up within Masons Field and be used as a base for works there and at Nidd Approach. We will be making this playground larger and replacing the existing fencing with a metal, bow-topped version. Most equipment will be replaced although the large, spider climbing net will be refurbished with new rope. New bark safety surfacing will be used. We are proposing to have a site compound at the Old Station car park but will require regular vehicle access to Scaur Bank using vans and a telehandler. All the new equipment and over 40 tonnes of new bark chippings will need to be brought in using vehicles. A new, wooden jungle climber unit and a see-saw will be installed. All the current equipment will remain but will be re-painted and have new safety surfacing installed underneath it. We will be using a natural coloured, bonded rubber chipping surface at this site. 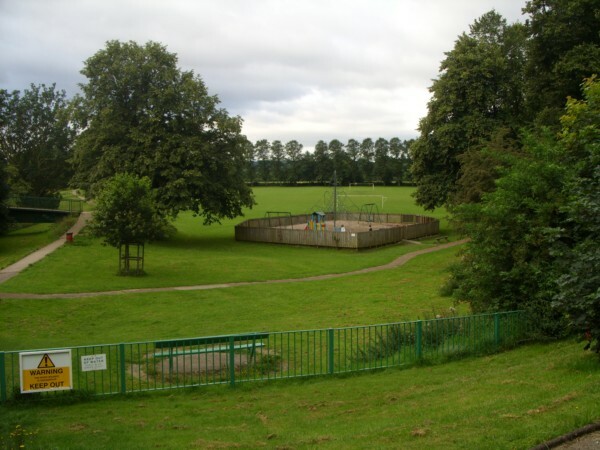 We are not progressing proposals for a goal end / ball games equipment at Nidd Approach. 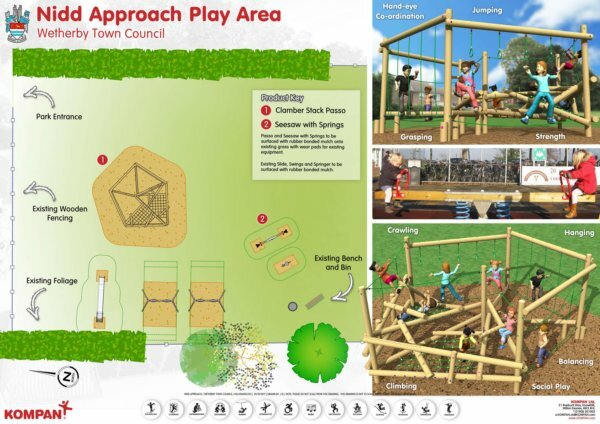 Seven playground equipment supply companies submitted designs for the Council's consideration and these can be viewed using the links below. Each company used the design brief given by the Town Council when preparing their designs. 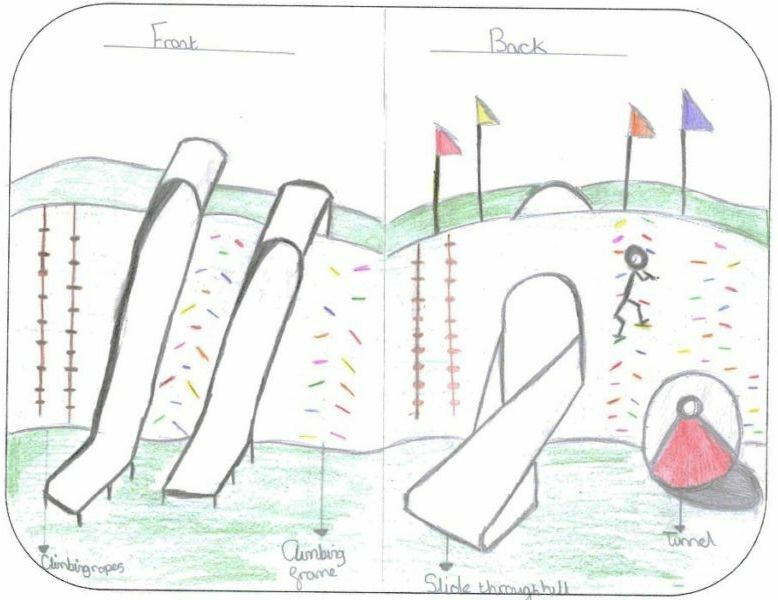 Feedback from the public and from local children helped the Council to pick its preferred supplier - Kompan. The Council's Property Committee considered a detailed report analysing the public feedback received on the preliminary designs. This report can be viewed here. The Council has since been working with Kompan to refine and implement the designs. Fawns Playtime's designs can be viewed here. Streetscape Products' designs can be viewed here. The Council held a preliminary consultation at the end of 2016 and received feedback from over 300 people which has been used to inform our design brief. 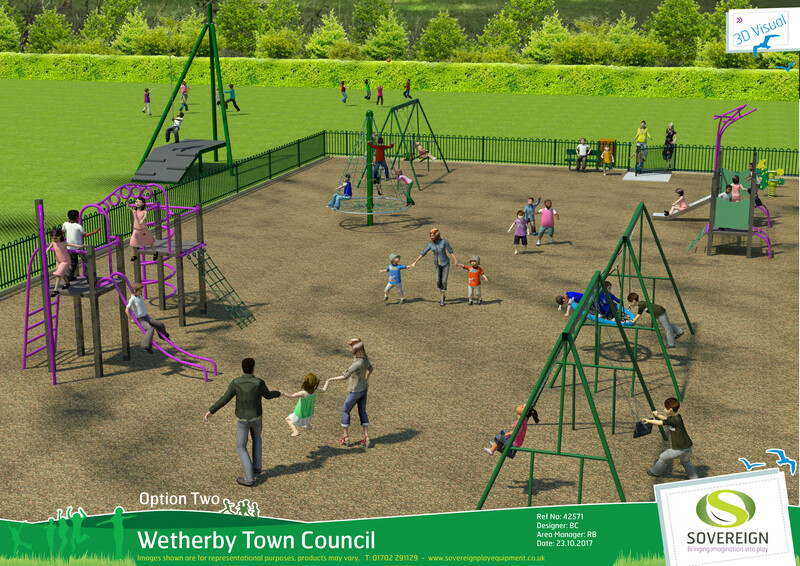 We held an assembly at Crossley Street School, children at St. Joseph's designed their 'perfect' playground for homework, Wetherby High School students completed an online survey in their IT lessons and feedback was received from 150 members of the public. 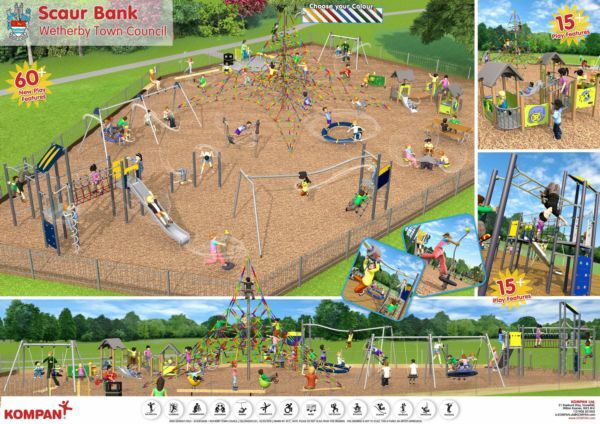 The design brief includes feedback broken down in to four sections; Key Stage 1 (ages 4-7), Key Stage 2 (ages 7-11), Key Stage 3 (ages 11-15) and adults so that the playground companies can see what appeals to the different age groups in our town. 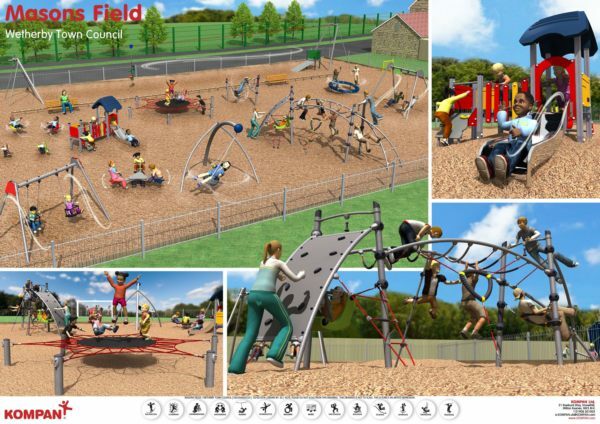 The design brief was sent to 8 playground equipment suppliers who then visited the Council's three sites at the start of October 2017 and used the information in the document and their experiences on the site to inform their proposals. You can read the design brief here.